Advances in technology have had a significant impact on event planning and event registration in particular. Long gone are the days of paper invitations that arrive in an envelope with a stamp. Online registration is increasingly common for every type of event, from business seminars and annual conferences to milestone birthday parties and company holiday functions. While this online process may seem simple, it still requires work. Fortunately for event planners, there are numerous tools available to assist with event registration. Choices include simple platforms that tackle the basics of event registration and those that are more advanced, offering multi-functional applications. Some event registration programs process event payments. Some also provide automatic refunds if registration is canceled. Other packages create registrant name tags. 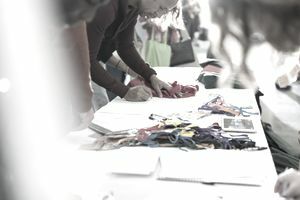 Event registration tools can also enable integration with a conference or company website as well as connect to their social media platforms. Unfortunately, with so many options, the process of selecting the event registration tool for your business can be overwhelming. Here is a simple to follow guide to selecting the event registration tools that best serve your event planning business. Choosing Event Registration Software: Where to Begin? Are your needs simple and require only processing of registrations and payments? Are you offering multiple sessions within the main event that require additional registrations? Do you need to manage hotel bookings or travel arrangements? Are you supporting a conference website? Will you be providing name tags, coordinating audio-visual requirements or hosting special pull-out sessions? Do you manage more than one event simultaneously? Is your event an annual occurrence or a one-time event? The answers to these questions will help you find the event registration software that best suits your needs. Many event registration tools offer standard functions at a reasonable price, which are well suited when managing straightforward events. These programs include basic registration forms that can be linked to your website. They can gather registration information, including credit card information, to register and process the credit card payments. Also, attendee registration lists can be compiled or exported. Depending upon the type of events you plan and the frequency of the events, these simple tools may be a good fit by providing exactly what you need without being bogged down with all kinds of extra features that are of no use to you. If your event planning work has you planning large conferences, then event registration tools that offer additional functionality beyond the basics may be just what you need. Solutions include those that process event registration and combine that feature with the ability to track and report various details of a larger, more complex event. If event participants are registering for the conference and then signing up for specific workshops within a given session, there are tools to enable that function. Some software will allow processing of multiple attendees from one organization with one source of payment as well as offer different pricing structures based on group discounts or early registration fees. If you need customized reports, then look for an event registration package that will automatically generate reports by compiling attendance lists based on individual workshops or other parameters that you select. Conferences typically call for printed nametags so put that on your “must have” list so that these can be created automatically as part of the event registration process and look for customization to reflect whether the attendee is registered for the whole conference, part of the week or only a specific day. For those event planners conducting numerous events, integrating registration data into your existing database may be a critical function for your organization. Consider current methods for adding registrants into your database and identify areas of improvement. It is important to think through various ways this information can be integrated with existing information, such as individuals who have volunteered or donated. Most event registration applications provide the ability to manually export data. However, this method is time-consuming as it requires manually importing the information into your database all over again. Explore packages that can satisfy not only your event registration demands and but also support your constituent management needs. Once you have narrowed down your choice of event registration software, determine if they offer a free trial period. That will give you the opportunity to not only test out the features but to see if it has the functionality you require and if it is a good fit for your event. It is also an opportunity to experience their level of customer service when answering your questions or working to resolve a problem you are having.